Aaron is much too classy to rub the dumpting of Marquis in Robby Incmikoski’s face, but he would have been well within his rights to do so given that Twitter exchange a few weeks back. 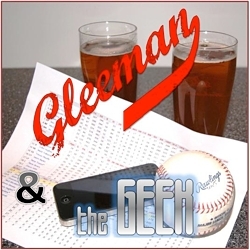 This spring I criticized Aaron for being too pessimistic about Parmelee given his performance last year. I was obviously wrong, and Aaron was once again right. At some point when a guy is right over and over again, it becomes apparent that he really knows what he’s talking about. Does anyone from the Twins read this blog? Because they could do a lot worse (and a lot better than they are doing now) than to hire Aaron. Scary Fact: Lew Ford had an OPS above .800 for good portion of his minor league career, including all of AAA and AA. Does the Twins’ farm system not even have a few Lew Ford’s? And while mop-up duty is probably not a great predictor of pitching success in competitive situations, Butera was throwing some real heat. The guys on the radio didn’t believe the radar gun. He struck a guy out! (ok it was Carlos Gomez) Lets try him out when we are down only 4-5 runs (after Blackburn’s next 2 inning start) instead of double digits. As much as anyone – I have been quick to point out Drew Buterrible’s faults as a major league hitter. 1) The stones it takes to ask to take the hill in a major league game. Seriously, even his most staunch critics must give him this much. 2) 94 on the gun is impressive, but more impressive to me – the guy has a freeking straight change that ran 76-79 with near identical arm action?!?!?! 3) Of course this probably has a bit to do with him being a full time catcher, but he exhibited a most admirable quality in his approach to pitching. Look in to see what Mauer called, then throw the damn ball. Figures that if Drew Butera hit like a pitcher for long enough, he’d get the chance to try and pitch like one, too. Maybe the Capps deal was only selling the house for $20,000 under market now. The Twins have gotten 2 more than serviceable seasons (so far) from Capps and he definitely has trade value now. Depending on who they get I’m not too upset with the deal. He’s a legit closer this season and probably one of 3 players (Capps, Span, Willingham) playing above expectations that isn’t roster filler. while I agree that the Twins, or some other club, would be smart to consider hiring Aaron, it would mean he would have to leave the house once in a while and make eye contact with real people. I suppose he could work in the capacity that he does now, just not publicly sharing his findings, but I don’t think the Twins are ready to give up on finding “good clubhouse” guys. I’m waiting for the inevitable moment when someone in the Twins organization advises Sano to start hitting the ball the other way and make more contact. Leon, the Twins themselves were worse in the mid 90’s. This is nothing special as far as bad teams go, and it can and will get worse. How? When the team is this bad AND there are literally zero past, present, or future stars on the roster. This Twins team still has Mauer, Morneau, Liriano, etc., i.e. players who are at least capable of eliciting some hope or excitement. You haven’t reached rock bottom until you have an entire team full of placeholders, journeymen, Rule 5 picks, and the like. And it can get worse than that still, as it did for the mid- to late-90’s Twins, when you layer on top of all that a terrible string of drafts. Oh, and the threat of contraction. Can’t forget about that. So you don’t even have to look outside the franchise to find a bigger train wreck. Aaron lost weight and bought a car, and I think he’s ready for the world. And its not like eye contact is something the Twins care about – look at the last couple of third base coaches. Get this man a job. I think these Twins are more pathetic than the mid-90s Twins because in the 90s the payroll was in line with the quality of the teams. 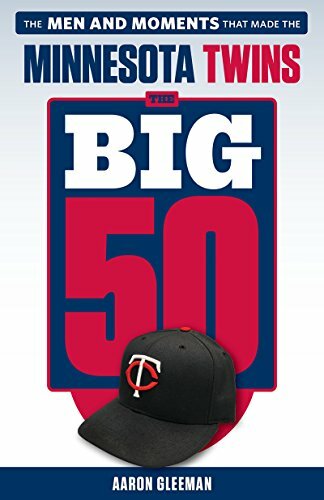 Now we have a much bigger payroll, and a fancy new stadium to bankroll the team, and the Twins are still the worst team in baseball. Despite your word of advice, expect Sid to point to Ramos’ injury as justification for the Capps trade. That’s how we roll in Minny. Yeah yeah yeah, but when Capps is named an all-star you can all bite me. 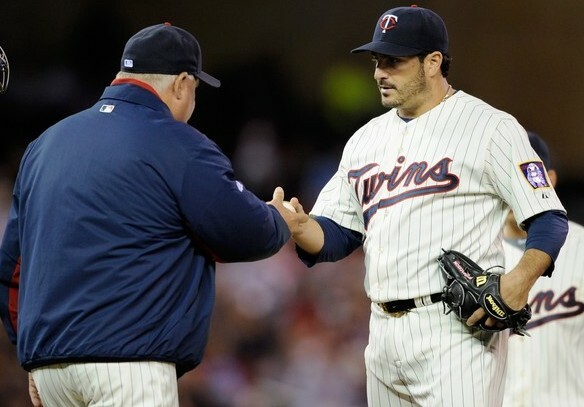 After an abysmal 2011, that trade has turned out well for the Twins in 2012. Capps has shown both the willingness and the ability to improve his game, and that split-fingered fast ball he learned from Guardado will keep him in his current role for a long time. Don’t look now, but Terry Doyle has better numbers in AAA than Cole Devries (including over 9k/9). Bet they’re wishing they hadn’t cut him after 9 IP. I’ve got a serious question about Drew Butera – why is he not a pitcher? 94 mph?! If he spent some time with a good pitching coach and learned some mechanics, couldn’t he hit 96 or 97? If he can control it, that sounds like a big league pitcher to me. Considering what a horrible hitter he is, and has been throughout the minors, why hasn’t converting him to a pitcher been tried? Is it common for position players to be able to throw over 90 mph? I hope this is just a case of needing to break out the “Not sure if serious…” tag, but you guys talking about how great Capps is this year realize he was signed for the 2012 season as a free agent, right? Nothing he does this season counts as value received in exchange from the Ramos trade. It makes sense carrying 12 pitchers now, but only if Butera is considered the 12th. The worst Twins season ever was 1981, when they went 41-68-1 in a strike shortened season and had nothing…..NOTHING…..on the roster. There was no hope at all for the future on that team. John Castino–the closest thing they had to hope–began his post-ROtY slide and still managed to lead the team in BA with a .268. The rest of the lineup was filled with aging, washed up old farts like Rob Wilfong and Gary Ward and Sal Butera (oy, that name) who had no future in the majors. Dave Engle was an outfielder, before they made him a catcher and he got the yips and couldn’t throw the ball back to the pitcher. Their rotation was made up of a bunch of “whos?” like Albert Williams and Brad Havens, and an aging Jerry Koosman finishing his career with a miserable turn. September finally brought a breath of fresh air when they promoted some guys named Laudner, Gaetti and Hrbek and we got a glimpse of a better future. Until then, though it was ugly. UGLY. Even worse than those 1990s disasters. Tom – you were right about 1981 except in referring to Gary Ward. Ward was only 27 that season and would combine to hit 47 homers with 67 doubles the next two years.